Professional mortgage products are aimed at borrowers in specific professional occupations. In today’s market, all lenders tend to use their own affordability calculations to calculate how much they are willing to lend, however some lenders offer exclusive mortgage products available for those in professional employment which offer reduced rates, fees and processing time. Depending on the professional, many lenders may offer qualifying applicants a range of better deals, mainly due to being viewed as lower risk therefore your career stability and reliable income can help you save money. However, approaching your bank or high street lender direct is not always the best way to secure the lowest rates available on the market. Here at London Finance Solutions, our professionally qualified advisers are able to source the best professional mortgage deal for you due to access of whole of market. Why use us for your professional mortgage? 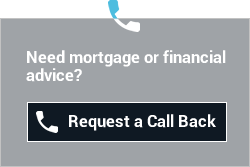 London Finance Solutions have years of professional mortgage brokerage experience and have established strong relationships with all the major UK lenders. This allows us to arrange the best professional advice for each individual case by negotiating directly with lenders on your behalf.